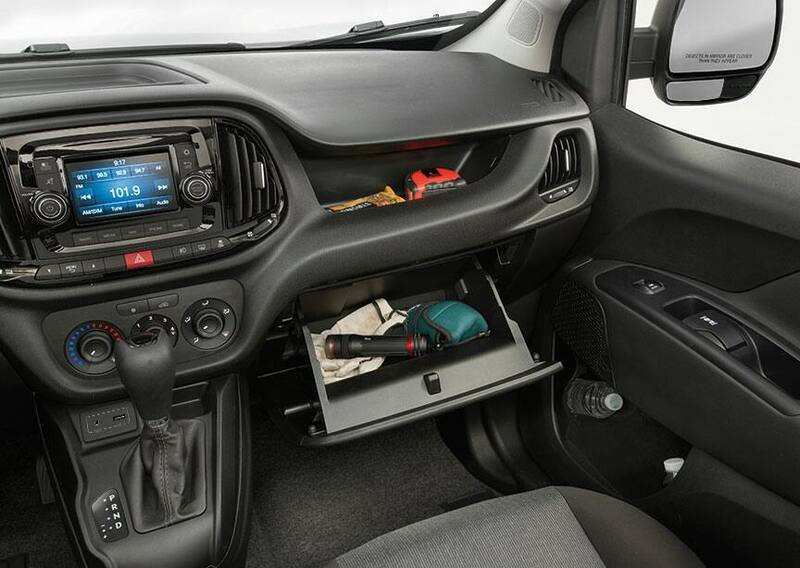 The 2016 RAM Promaster City is a van that focuses on commercial customer--like that of of a locksmith or plumber--needs and total ownership cost. Did you know that the 2016 Promaster City was developed based on Fiat's Doblo vehicle? New for 2016 are tire, technology and overall interior renovations that include a particularly thick carpet. The starting manufacturer's suggested retail price (MSRP) is just over $24,000. Continue reading to learn more about the excellent 2016 RAM Promaster City! Although this is a van, it's built to be extremely capable and to be easy to drive from your current location to your destination. The vehicle's 2.4-liter I-4 engine provides up to 21 mpg city, 29 mpg highway and 24 combined. The engine is assembled at Chrysler's Michigan plant and later sent to Turkey where it's later put into the van's unibody. The van will give you up to 178 horsepower @ 6,400 rpm and 174 lb-ft of torque @ 3,800 rpm. The nine-speed automatic transmission is an awesome feature of the vehicle, so you can arrive at the destination in a smooth manner. The Promaster City has a 1,883-pound payload. Driving in all kinds of weather will be easy with the 2016 Promaster City's all-season tires, which will give you great performance and low rolling resistance. The Promaster City is part of the compact Class 1 van segment. Because of this vehicle's size, with a 131.7 cubic-foot cargo volume, it is excellent for hauling any cargo around that you might have to. 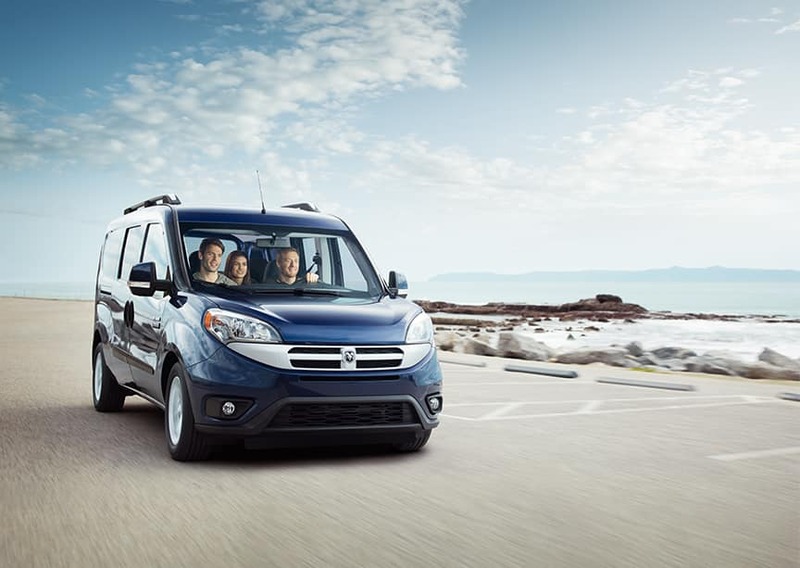 The Promaster City is available in passenger wagon (that seats up to five people) and cargo (seating up to two) make-ups. Loading big objects into the Promaster City will be easy with the low load floor, because it is 21.5 inches off the ground. In case you are curious, the distance between wheel wells is close to 50 inches, and the Promaster has a 122.4-inch wheelbase. For actual wheels you will probably have sixteen-inch silver steel ones. If you have an entry-level radio, then Bluetooth would be available for you. The van's Uconnect system has an easy to learn and easy to use interface. The Uconnect system has a five-inch touch-screen that offers Uconnect Web for internet connectivity, and GPS navigation to help drivers chart routes to destinations and arrive there with less hassle and stress. Does the van have electronic roll mitigation? Yes, electronic roll mitigation is standard on this van. What about trailer sway damping? That is standard with this van as well. Do you have any suggestions of smartphone apps to get for my new van? Yes, we do! Click for our suggestions! 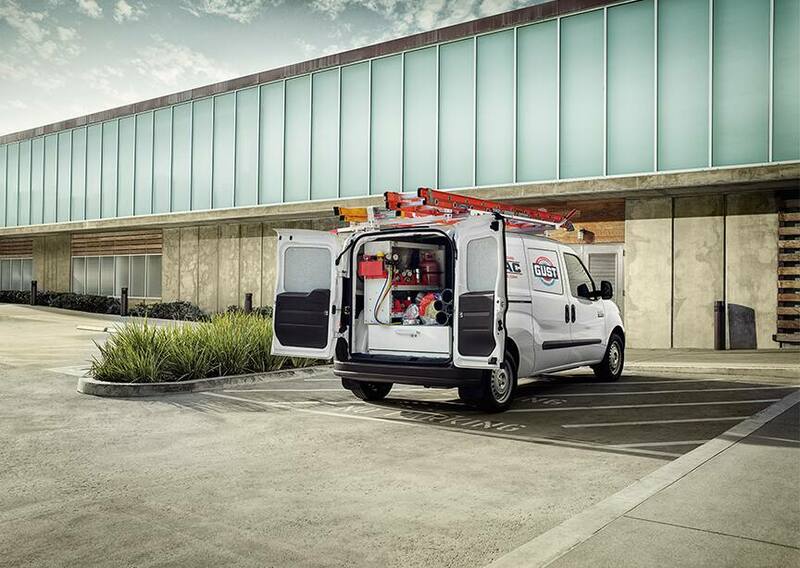 Over thirty safety features are available for this year's Promaster City. Power door locks make it simple to keep your belongings secure, and remote keyless entry makes it easy to get into the van without putting a key into a lock. This van offers electronic stability control (ESC) and seven airbags to include front side-curtain, a driver's inflatable knee bolster and rear curtain units. You'll have anti-lock brakes (ABS). ParkSense and a ParkView backup camera can help you out no matter where you are driving, but particularly while in a city. The available Rear Wiper/Washer/Defroster group can keep your rear window especially clear during inclement weather. We'd like you to come see the 2016 RAM Promaster City today and further learn about how it could be the next neat working vehicle for you!